Calling all film buffs! 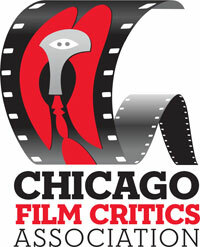 This Friday, May 9 is opening night for the second annual Chicago Film Critics Film Festival. Due to the fact that I’m a member of the Association and have a strong passion for film, I will be attending. Last year’s inaugural event was near Oâ€™Hare airport, Muvcio Rosemont 18, of which members of Sarah’s Backstage Pass attended. We were very pleased to report that the three-day film event was a success. With a downtown Chicago location this year at The Music Box Theater attendance should be even better. The collection of films looks intriguing. The time frame has been expanded to one full week, with many special guests scheduled to appear, including David Wain, Jordan Vogt-Roberts and David Dastmalchian. The line-up has enough variety for all with over 20+ films and a few shorts.